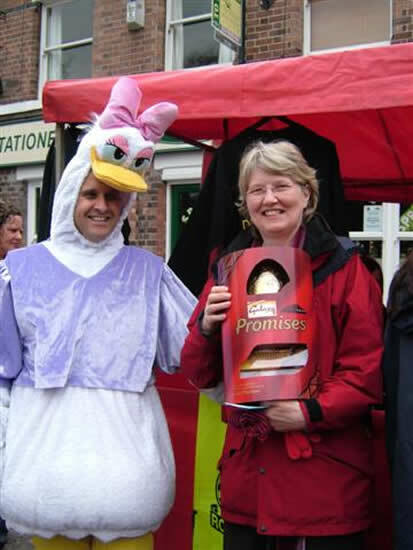 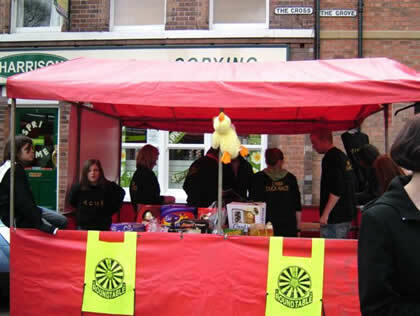 The Lymm Round Table organised the Easter Monday Duck Race, the event this year was sponsored by more people than ever before, selling 3 times more ducks than previous years. 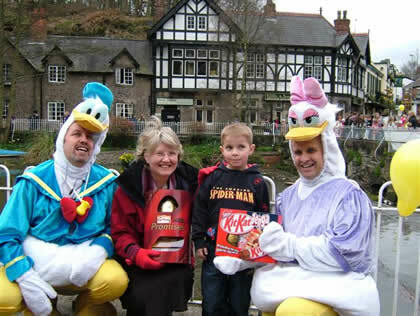 The crowd gathered for the launch of the corporate ducks and the people’s own sponsored ducks. 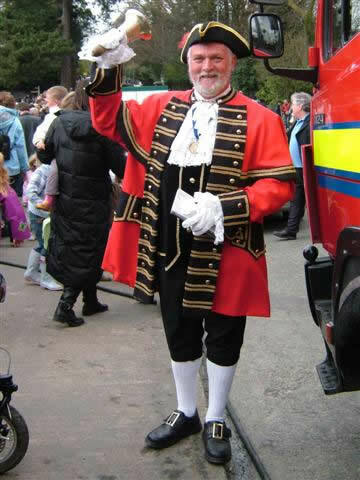 The race was started by the Town Crier, Peter Powell and the Cheshire Fire and Rescue Service. 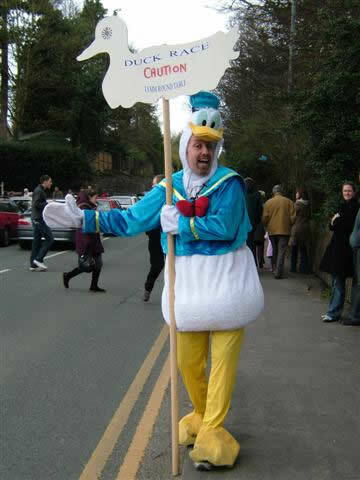 The crowds cheered as the ducks swam from the launch at Lymm Dam and headed slowly through the Dingle, swimming towards Lymm Lower Dam. 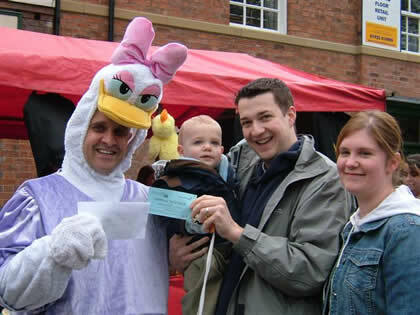 Side shows kept the huge crowd entertained with the sale of ducks and sweets by St Mary’s play group and hook a duck and win a prize stall. 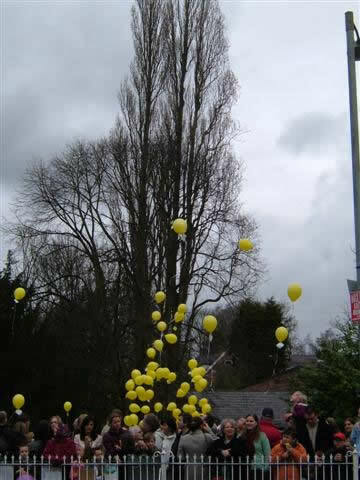 People also bought balloons which were released for a balloon race. 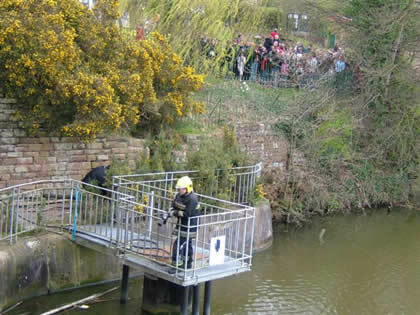 As people watched with anticipation, there were murmurings among the crowd! 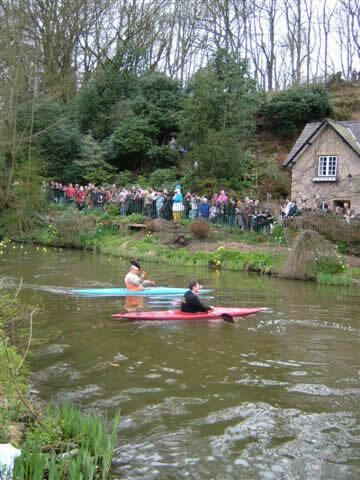 Were the canoe boats sabotaging the race?! 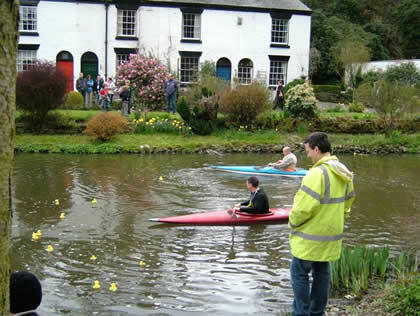 Could the canoe paddles be helping the ducks and were some ducks helped more than others, shock horror! 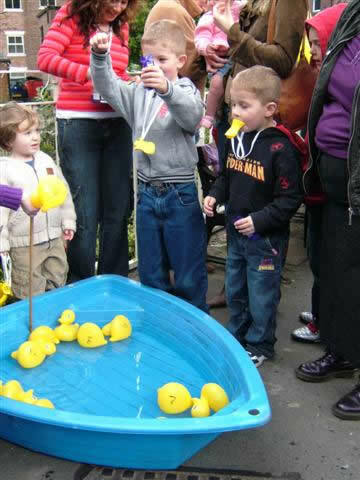 To add insult to injury someone threw their own personal plastic duck into the water to try and win first prize, but somebody “quacked” on him, and he was removed to rest on the canoe and watch his fellow ducks head for victory! 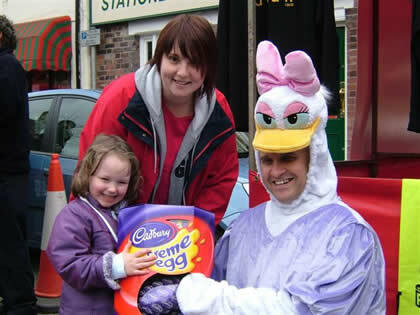 4th no: 478, 5th no: 310, 6th no: 988, 7th no: 86, 8th no: 782, 9th 489, 10th no: 416. 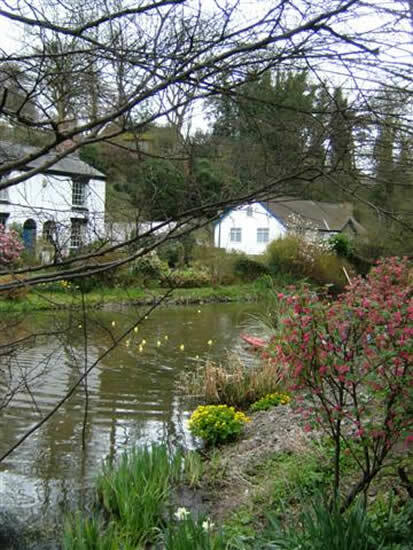 4th no: 60, 5th no: 22. 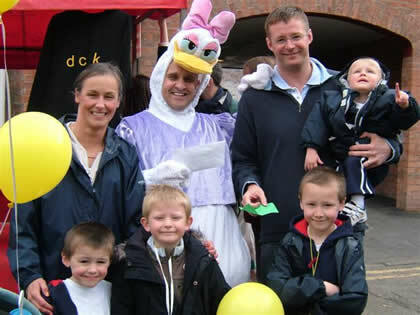 Donald Duck, alias Steve Williams and Daisy Duck alias Nick Hughes looked after the crowd and gave out the prizes to the lucky winners. 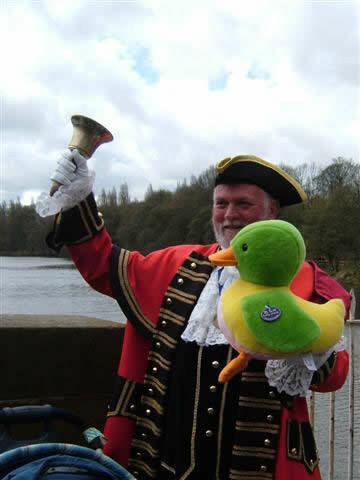 Tony Horne did a splendid commentary broadcasting throughout the race keeping people informed about the neck and neck finish! 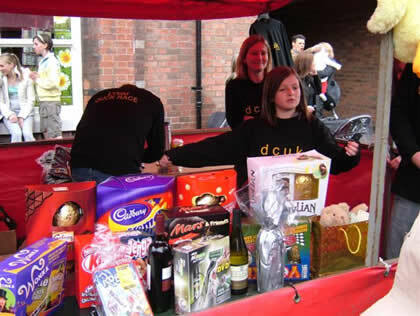 The money raised will go towards Lymm local and community based projects. 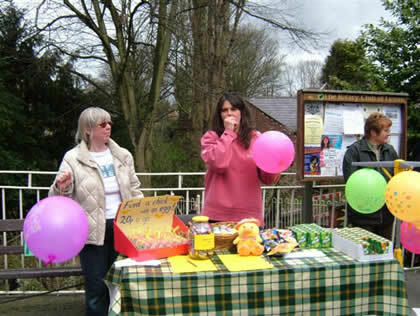 Local organisations can apply to Lymm Round Table for funding to be considered. 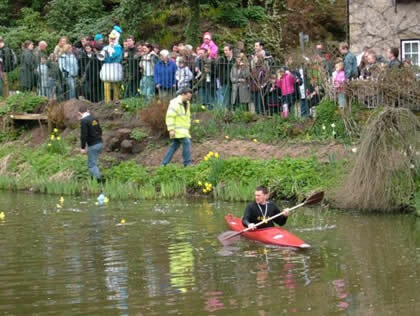 Another great day out for all the family, well done to all those helpers behind the scenes who made the Easter Monday Duck Race, go at such a “quacking” pace!